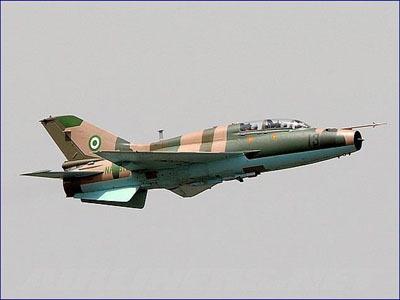 The Nigerian Air Force (NAF) said yesterday it had intensified its strikes on bandits in Zamfara State where it killed scores of them and destroyed their hideouts and trucks. NAFâ€™s spokesman Air Commodore Ibikunle Daramola said the bombardment was conducted after intelligence indicated their presence in the area. In a statement in Abuja, the state capital, Air Daramola said: â€œThe Air Task Force (ATF) of Operation Diran Mikiya has intensified the bombardment of armed banditsâ€™ hideouts in Zamfara State and its environs. â€œThe air strikes were preceded by days of Intelligence, Surveillance and Reconnaissance (ISR) missions initiated based on credible human intelligence reports, which led to the identification of several camps used by the bandits to launch attacks against innocent civilians. â€œOne of the air interdiction missions was conducted at dawn on February 7 at a location in Rugu Forest South of Gurbin Baure, where some armed bandits were seen assembled by a logistics truck parked near their compound-hideout. â€œThe ATF dispatched a NAF attack helicopter and an Alpha jet to engage the banditsâ€™ truck and compound. â€œOverhead the target area, the bandits were seen dispersing towards different directions with some attempting to make a getaway in the truck. â€œThe helicopter strafed the moving truck in successive passes immobilising it and neutralising its occupants. â€œThe Alpha jet simultaneously attacked the compound and destroyed one of the huts harbouring the bandits, which was seen engulfed in flames. â€œCredible intelligence sources later revealed that several bandits were killed as a result of the attack.